Geofence is a virtual perimeter set-up around a location. It can act as a trigger for a context-aware action once the user enters it with their device. Thanks to the proxi.cloud panel, it has never been easier to set up, manage and assign actions to as many geofences as you need. Whether these are shops, tourist spots or other important places, you can reach your users in the right area. Gain information about entry, exit and dwell time in the selected place. Geofence is active even in the background as long as the user has enabled location on their device. Nowadays most public places, attractions and shops provide WiFi connectivity. With proxi.cloud technology you can utilise this information to reach your customers better. You can trigger actions whenever the targeted device is within a particular WiFi network. 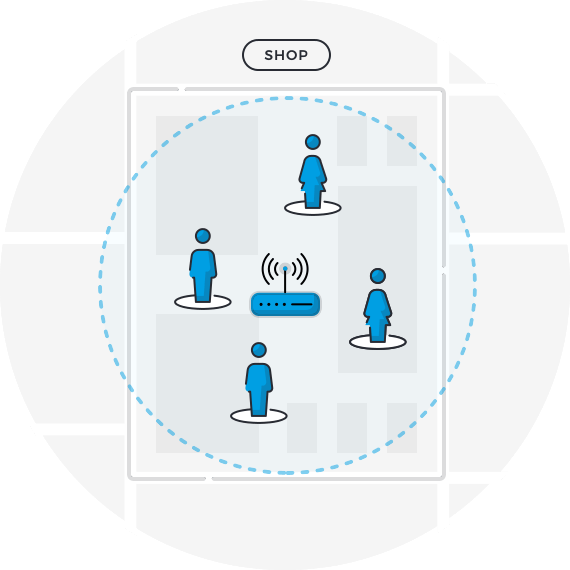 As with geofences and beacons, proxi.cloud panel allows to freely manage actions based on WiFi. You don’t have to be the network administrator – and the targeted device does not need to be connected to it. As long as you can provide some basic information like SSID or router’s MAC address you can use it to trigger actions with the proxi.cloud SDK. Beacons take location services onto the next level. Thanks to these little effortless devices you can provide location-aware services with great precision. It is possible to set-up multiple zones within one store or any other enclosed space. There is no need to worry about mobile reception or satellite coverage. It is all done locally via low power Bluetooth technology. Beacons are powered by batteries that ensure the lifetime of up to 5 years. 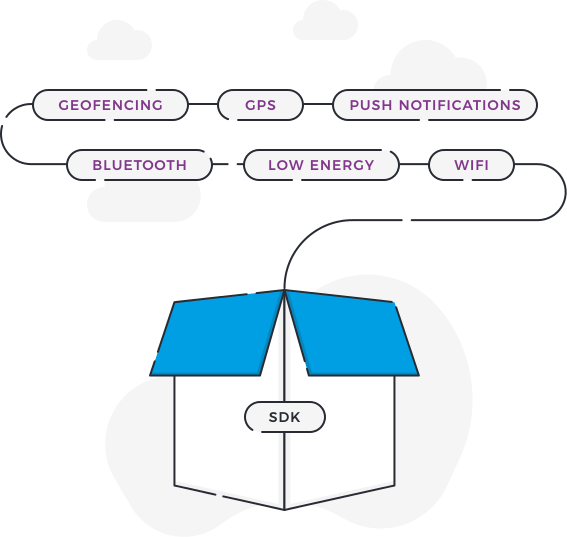 Proxi.cloud open SDK allows for seamless implementation of proximity technology in your app with little effort required from your development team. Manage interactions directly from the proxi.cloud panel with no changes to your application. Whether you wish to send push messages, trigger an internal app functionality or simply collect analytics data – a single SDK handles it all. Your proximity data is safely collected in proxi.cloud service. There it can be managed and processed using our panel. 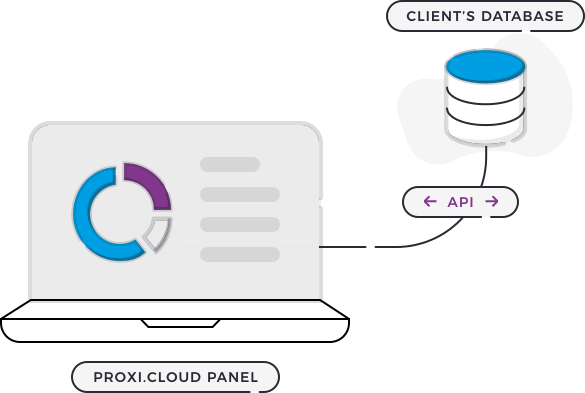 Your data can be easily accessed and transferred via the proxi.cloud API. Whether you are an app vendor, IoT infrastructure owner or data processor, you can gather proximity data with ease, share them with 3rd parties or simply import into and analyze in your existing systems. Our platform is open for 2-way integration with any systems requiring instant access to proximity data.